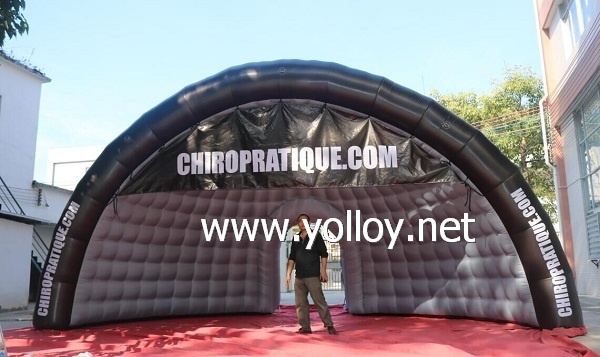 It can be used as inflatable stage cover ,which is very good choice for outdoor events, sales promotion, concert. It is made be oxford material. 7.Blower: CE/UL blower allows your marquee to inflate in just mintues. 8.Tethers and ground stakes - ensures your marquees stays put by using tethers and ground stakes as secure anchors. 9.Strong handles attached to all the corners for easy manoeuvrability . 11.Welcome you send email for more details of tent.